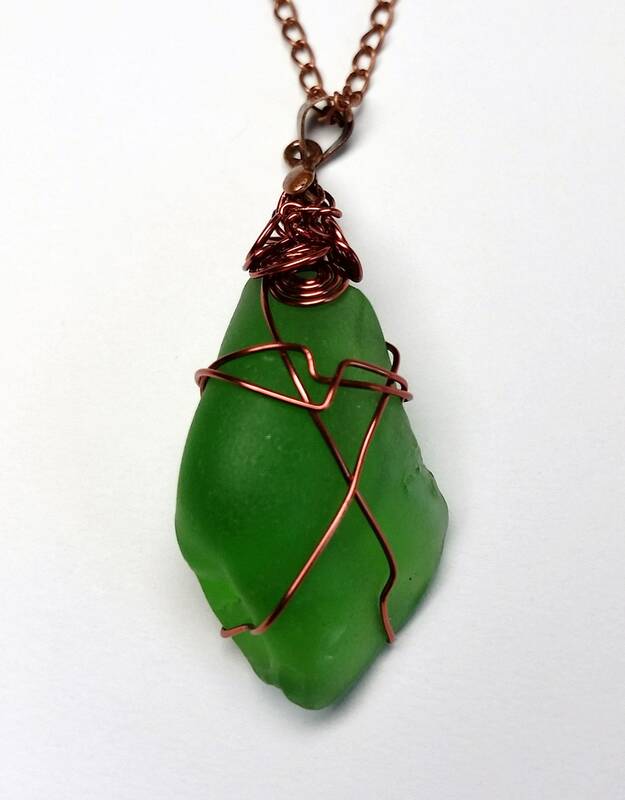 This green sea glass beauty came from a beach glass festival I attended in Cayucas, CA. 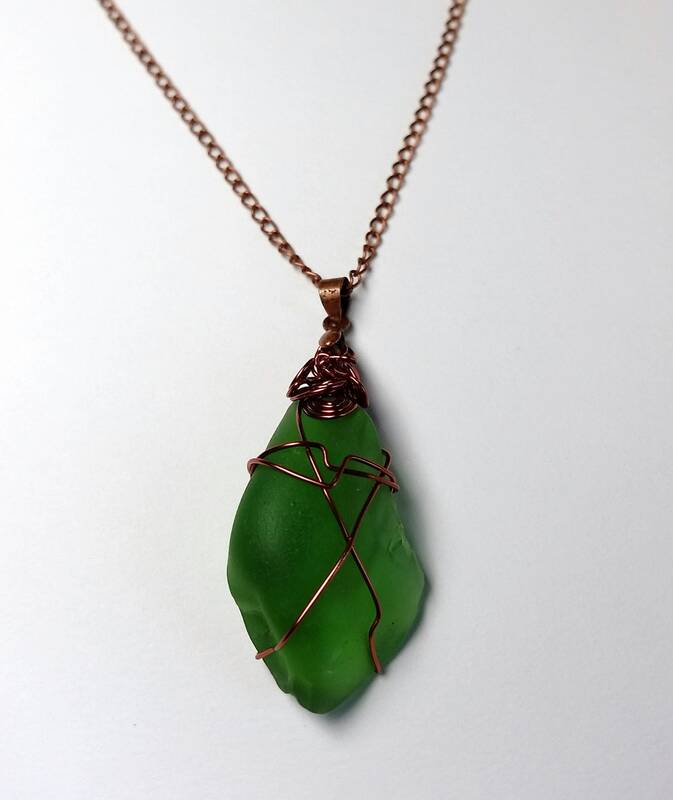 I wire wrapped it in coated copper wire and strung it on copper chain. The chain is approx 21 inches in length. 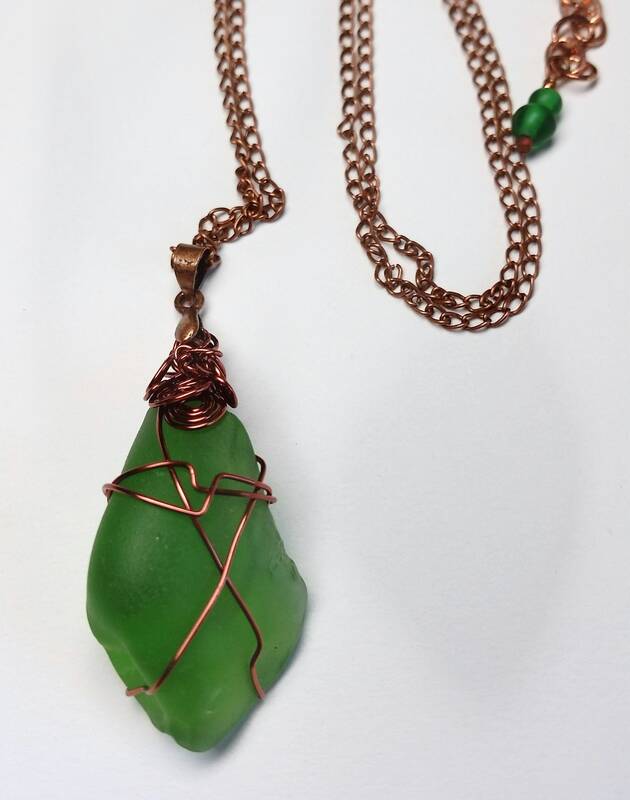 The necklace comes together with a copper lobster style clasp, and the clasp attaches to a 2.25 inch copper extender chain with tiny green glass dangle. Thus the necklace is adjustable and the maximum length is approx. 23.25 inches.